Hurry up to get tickets for a unique concert “VIVA l’OPERA” with the participation of the young and talented singers Pascaline de Montjoye(Belgium), Ivan Ozerov(Russia), Emira Dakhliya(Russia / Tunisia), Amir Saraevi(Bosnia-Herzegovina), Marta Lukošite(Lituania), Karolina Glinskaite(Lituania) and Julietta Kocharova(Belgium / Russia) under the direction of the Italian maestro Paolo De Napoli. 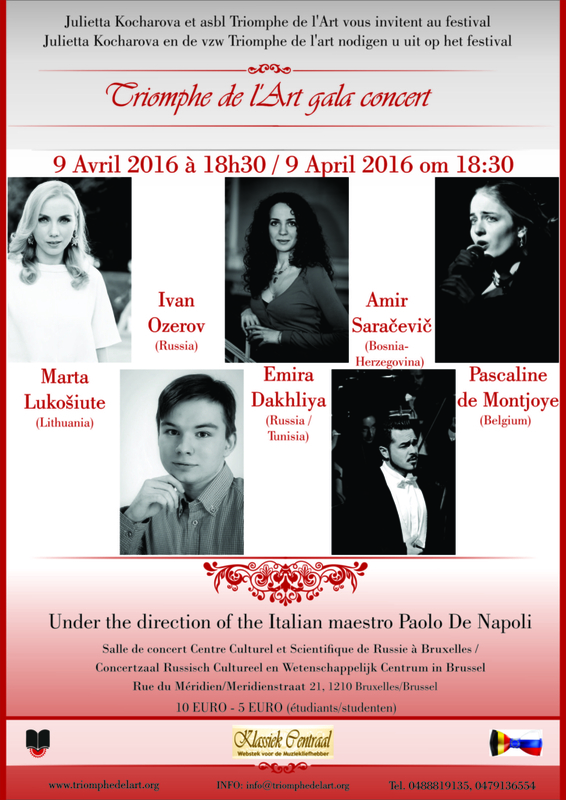 They will present you the masterpieces of the world classics. We will be happy to see you at the concert!! !